When the Reverend Charles Cook, a fire and brimstone country preacher, moved from his Clarksville, Mississippi home to Chicago it was for one reason. “It was to educate my children. In Mississippi they didn’t even furnish you with schoolbooks.” (1) Charles had the motivation. He had sharecropped, worked on the railroad and served as a houseboy for a wealthy Clarksville family while doing the Lord’s work as a circuit preacher. He wanted a better life for his wife Annie Mae and family of eight children. After a number of years, the grind became too much for some members of group. Charles couldn’t wait to get out of the house and joined the Air Force at nineteen. Mary dated and later married a young preacher and believed she was too old to be singing with the group. That meant the end for the Singing Children. They sang at every opportunity. They would harmonize with other kids in the neighborhood. There was Johnny Carter, later a lead singer with the Flamingos and the Dells and James Cochran, later of the Spaniels, singing harmonies that they learned from the Ink Spots. It was in 1947 when Sam was singing, If I Didn’t Care to a girl in an apartment building that two teenage brothers, Lee and Jake Richards joined him. The harmonies were so good that the Richards brothers invited Sam to join their gospel group. Six teenage boys formed the sextet, the Highway QCs (Highway came from the Highway Missionary Baptist Church and QC came from out of the blue). It was when R.H. Harris of the Stirrers quit the group that Sam was asked to join them as Harris’ replacement. Harris and his attitude had worn out their welcome. Theories abound for his departure. Harris believed he held more strictly to his religious beliefs while the other Stirrers were more “worldly”, a paternity suit in Cleveland clouded his future or he wanted a bigger piece of the pie. The Soul Stirrers just signed a contract with Art Rupe, owner of Specialty Records in Los Angeles who specialized in R&B, Gospel and later, early rock and roll music. Looking for a new lead singer who could take the group on a new and more profitable path, founder and business manager of the Souls Stirrers, S.R. Crain auditioned Sam for the job. After running through a few numbers, Crain knew he found his man. Sam became the new lead singer of the Soul Stirrers. Sam joined the group in 1950 and before long, his distinctive style and good looks made him a favorite on the gospel circuit, especially among the ladies. That was important because after World War II, it was difficult for gospel groups to make a living. To supplement that declining income, groups were doing live performances at churches, schools and neighborhood centers. Travel was rough as the group criss-crossed the country by car (a new Chrysler every year) to the tune of about 50,000 miles. Add to that total, matching new uniforms, pictures sold at concerts and medical bills, there wasn’t much left share as salary. Meanwhile, gospel music was changing as all genres do. Mahalia Jackson, as a solo artist, was now drawing white audiences as her new contract with Columbia Records brought her a reported $25,000 a year for five years. Gospel singers changed their style to a more R&B-tinged flavor as Guitar Slim, took his first release, The Things I Used To Do to #1 on the R&B chart where it perched for fourteen weeks in the early months of 1954. 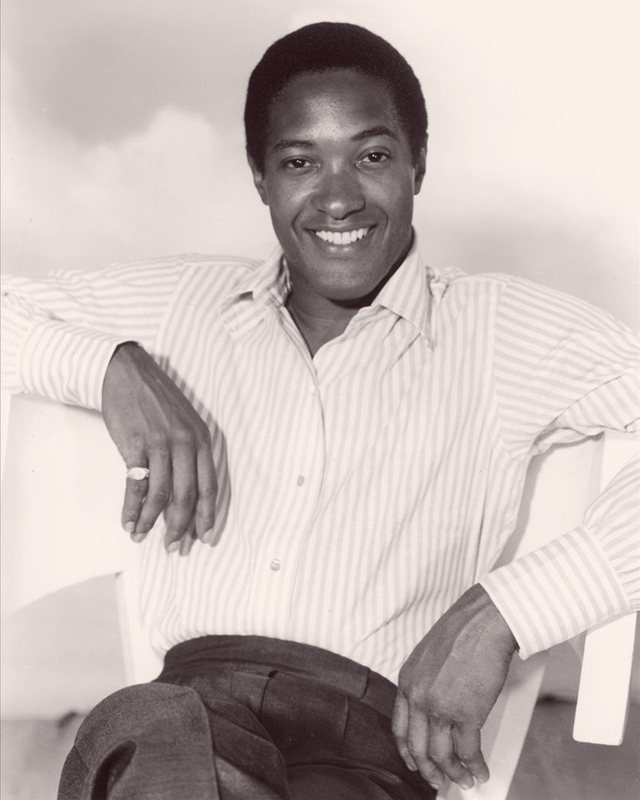 Roy Hamilton placed a gospelized version of You’ll Never Walk Alone at the top spot on the R&B chart for eight weeks and hit #21 on the pop chart. Ray Charles took a gospel melody, changed the words to a more secular meaning and scored a huge hit with I Got A Woman. There was no shortage of people that wanted to manage Sam’s change from gospel. Roy Hamilton’s manager, Bill Cook, New York DJ Jimmy Byrd and even the new A&R man with Specialty, Bumps Blackwell joined the fray. In June of 1956, Sam wrote Rupe a letter asking for his permission to record some pop tunes for another label under a different name while still working with the Stirrers. Rupe, of course, declined the offer but presented one of his own. “We would be happy to record you in the Pop field ourselves — and we feel we can offer you considerably more success.” (1) The matter was put aside for the time being. Sam loved the ladies back. Though recently married, Sam was still sowing some wild oats. He had a daughter with his childhood sweetheart as well as children with a number of women in cities the Soul Stirrers would visit. There was a long-established principle with the group to share the proceeds equally after expenses. Cook was disenchanted with the arrangement since he wrote a number of songs for the group and was the drawing card. When he ran into R&B performers and compared notes, Cook saw that his peers were living the material life that he dreamed of since he was a child. In late summer of 1956, Bill Cook, who lost his meal ticket Roy Hamilton to tubercular pneumonia, took Sam into New York’s Nola Studios to record some solo efforts. Bumps Blackwell and J.W. Alexander were enthusiastic about the effort since gospel sales were dropping. Two of the songs were released, Lovable and Forever under the name of Dale Cook to protect both Sam and the Souls Stirrers in the event the songs bombed. Both songs received lukewarm reviews. The ruse fooled no one. Fans were upset with Sam willing to crossover and the Soul Stirrers didn’t know where they stood. Sam didn’t know what to do until a conversation with his father, who told him he owed no loyalty to the Soul Stirrers. “That’s not your religion, that’s your job, you do that for a living. The Lord gave you a voice to sing to make people happy,” Reverend Charles told him. (1) Sam made his decision to break from the Soul Stirrers and go solo. 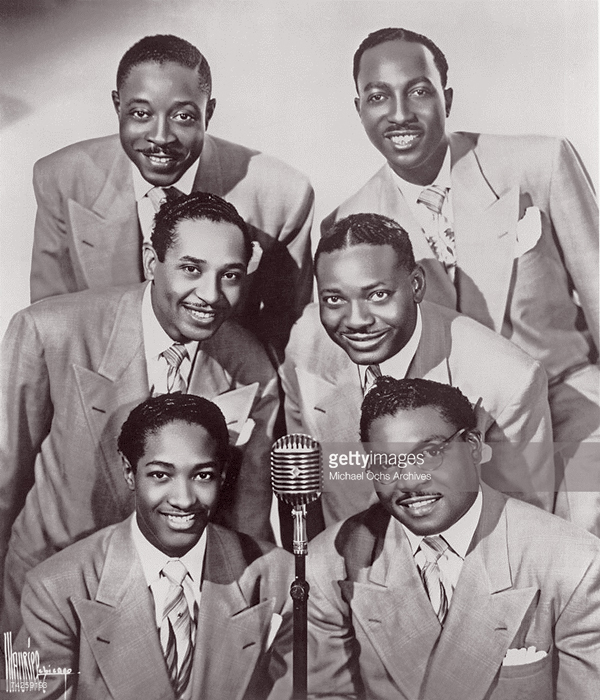 Specialty’s plan devised by Rupe and Blackwell for Sam was to have him sing with a backup quartet that sounded as much like the Soul Stirrers as possible. Four songs were chosen from a dozen submitted: Gershwin’s Summertime, two of Sam’s compositions, You Send Me and You Were Made For Me and Things You Do To Me by a new apprentice A&R man, Sonny Bono. The session was booked on June 1, 1957 at Radio Recorders in Santa Monica with Clifton White and arranger René White on guitar, Ted Brinson on bass and Earl Palmer on drums. The Lee Gotch Singers, L.A.’s number one pop session group provided the background vocals. With Blackwell handling the session and You Send Me completed, Rupe showed up to the studio. And all hell broke loose. The group finished the third or fourth take of Summertime, a song that White envisioned as a “pop style with a gospel flavor” when Art Walked through the door. (1) Rupe immediately focused on the all-white background singers. Composed of two female and two male singers singing in a pop style, Rupe believed they contrasted with what was agreed upon and the female singers clashed in a way with Cook’s voice that he found personally offensive. Bumps trusted his musical instincts on this session. He believed the white background singers would make Sam acceptable not to just his old fans but to a whole new audience as well. Blackwell figured if there would be a problem, he could handle it with Rupe as they had done in the past —just trust Bump’s instincts. The label owner spared no one’s feelings as he launched into a tirade. He considered what Blackwell had done as a direct betrayal and let him know it in front of the musicians, the backup singers, the engineer as well as Sam Cook. Humiliated in front of people he worked with on a regular basis, Bumps, seething like everyone in the studio, silently finished the session (the background singers departed) before launching into Rupe. The owner wanted a meeting with both Sam and Bumps on Monday morning. Words from Saturday couldn’t be unsaid as the parties met and the anger on both sides remained. The matter couldn’t be resolved so Rupe figured he would buy out Blackwell. Eventually, a deal was struck that allowed Blackwell the rights to Sam’s new contract with Specialty, the four recordings made with Sam and four instrumentals previously done by Bumps in exchange for a full release from all future financial obligations which included previous royalties and other monies owed, songwriting rights of both Sam and Blackwell and eight more sides that Sam would do for Specialty. Bumps was a gambler who believed in Sam Cook. He took the deal two weeks later and shopped for a deal around Los Angeles. John Siamas, a wealthy airplane parts manufacturer was starting up a new record label with Bob Keane, a bandleader and a small-time entrepreneur. Keane was interested in R&B and Siamas was a jazz buff and audiophile. The missing part of the plan was Blackwell who had the contacts and the experience. The new label was called Keen Records. Sam immersed himself in the dealings of the record business as well as taking acting classes. He even added an “e” to his last name believing it would be classier. Sam’s first appearance on The Ed Sullivan Show turned into a near-disaster. The show was running long and Sam was scheduled as the last guest to appear. Introduced by Sullivan, Sam started the song, got to the middle of the second line and the CBS eye filled the screen. He was cut off. There was such a furor from the public that Sam was rebooked four weeks later. It turned out as a blessing in disguise. Because of all the publicity, Sam’s version was mentioned everywhere helping it kill the cover versions and take the song to over a million in sales. 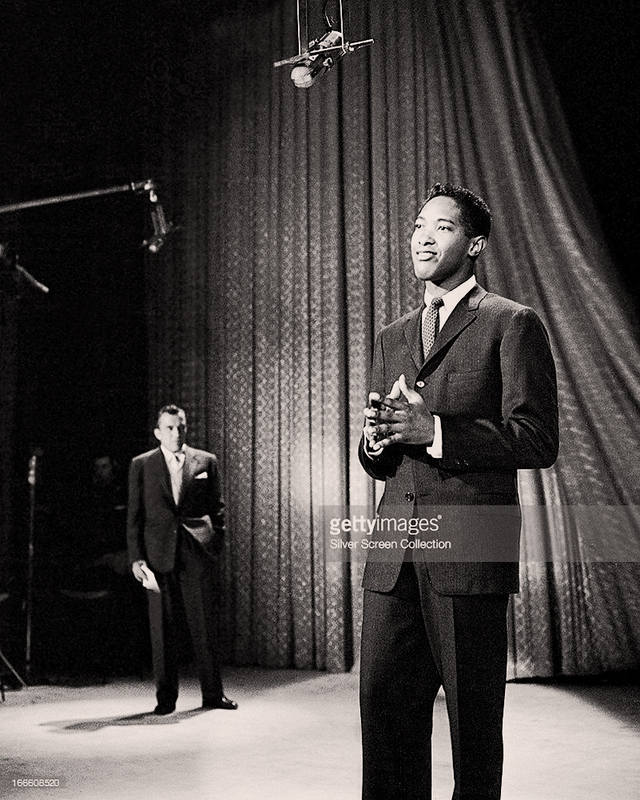 Sam appears on The Ed Sullivan Show for the second time within a month on December 1, 1957. On December 11, 1964 at the age of 33, Sam Cooke was shot and killed at the Hacienda Motel in Los Angeles after a scuffle with hotel manager, Bertha Lee Franklin. The details around his death allege Cooke brought Elisa Boyer to the motel, registered as Mr. and Mrs. and proceeded to their room. Ms. Boyer apparently had second thoughts about Cooke’s alleged intent and left the room with his clothes while he was in the bathroom. Cooke, wearing just his sports coat, went to the office thinking Boyer was in there, broke in and wrestled Franklin to the floor. She got up, grabbed a gun and shot Cooke three times. The courts eventually ruled the case justifiable homicide. Sam performs You Send Me on The Ed Sullivan Show on December 1, 1957. 2) Whitburn, Joel, Top Pop Singles 1955-2002, Pages 150-151, Page 81. 3) Whitburn, Joel, Top R&B Singles 1942-1999, Pages 92-93.